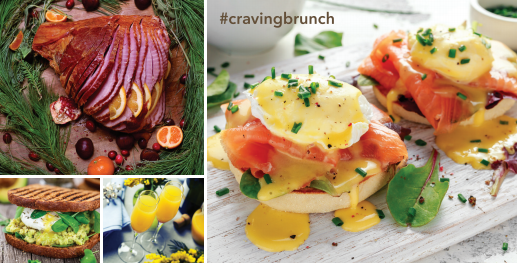 Naples, Florida, March 27th, 2019– Southwest Florida caterer, Crave Culinaire announces the launch of its Easter Brunch Pop Up. The brunch seatings will be held on Sunday, April 21st at Venue Naples with availability at 10 A.M., 12 P.M. and 2 P.M. Crave Culinaire has been impressing the area with its innovative culinary techniques, out-of-the-box approach and award-winning presentation since 2013. Seating is limited and tickets are required for this event. To reserve your seat, please visit www.venuenaples.com/tickets. Featuring a delectable array of creative brunch chef action stations, live music and delightful surprises, Crave Culinaire is offering an Easter Brunch experience that’s a step above the rest. Crave Culinaire pairs their passion and focus with an unmatched vision to provide guests with the ultimate dining experience. Combining this with Venue Naples’ upscale ambiance and atmosphere, guests will be transformed to a space like no other. Founded by Chef Brian and Nicole Roland, Crave Culinaire emerged out of the desire to provide a culinary experience that not only delighted guests, but broke boundaries and ignited the passion for delectable cuisine in others. Tantalizing palates and exceeding expectations, Team Crave seeks to ensure that every element, from plate to table, is presented with perfection. Venue Naples, also owned and operated by the Rolands, offers an exemplary space to host a multitude of various events. Chef Brian and Nicole are excited about the Easter Brunch pop up and speak about the expectations of the event. “We launched a brunch series earlier this year and it was met with tremendous success, so we’re looking forward to offering even more for our Easter Brunch events. With more seating availability, more surprises and more culinary offerings, we’re excited to provide guests with a wonderful way to celebrate the day” they explain. For more information and to purchase tickets, please visit www.venuenaples.com/tickets. Crave Culinaire was founded by Chef Brian Roland, Owner and Executive Chef. Chef Brian, Nicole Roland and their team specialize in creating an exclusive culinary experience through in-home dining, private and public events, cooking classes, customized catering, food and wine pairings and showcasing immaculate culinary delights. Crave Culinaire is driven by their passion for food, and focuses on incorporating fresh and local ingredients. Crave Culinaire is also paired with the fully customizable space of Venue Naples. Venue Naples is a multi-use event space and art gallery incorporating fine dining and exquisite service.